I mean that. 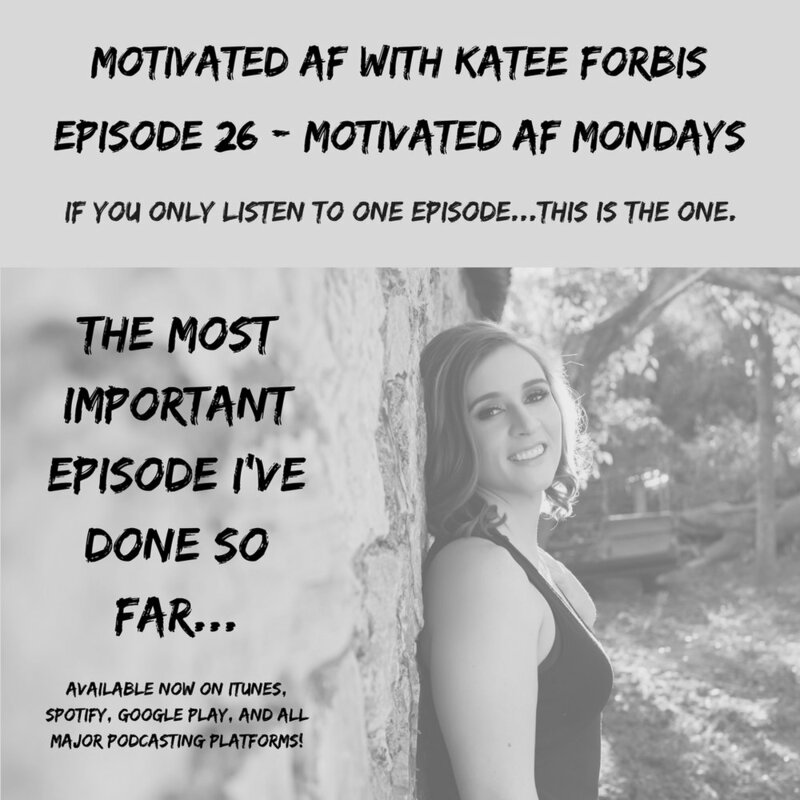 Episode 26 of Motivated AF with Katee Forbis is the most important episode I've recorded thus far. If you have been struggling or feel lost in any way, I want to encourage you to give this episode a listen. In fact, if you only give my podcast one chance, let this episode be the one episode you listen to! I go into my personal story a little more than usual (which I will continue to do off and on) and I just felt like someone who is struggling right now is meant to hear this episode. Maybe it's you.